Weapons are important for wars, keeping the peace, and defending yourself. Weapons have molded history in that they have changed the outcomes of wars such as the Civil War, WWI, and the Vietnam war. 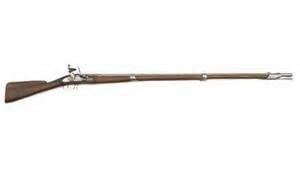 The musket was the primary weapons used by British and American soldiers. Commonly equipped with a bayonet, the musket offered the ability to fire off one round then charge at your enemy to deliver the fatal blow. 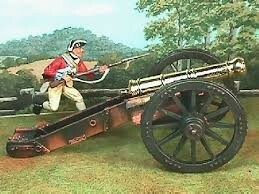 The cannon was a highly effective weapon throughout the Revolutionary War and was key to the American victory. Though it took as many as 14 soldiers to operate, a cannon could fire projectile for hundreds of yards and hit dozens of enemy soldiers in a single shot. Used mostly by officers, Revolutionary War swords were often ornamental in nature and decorated with precious materials. 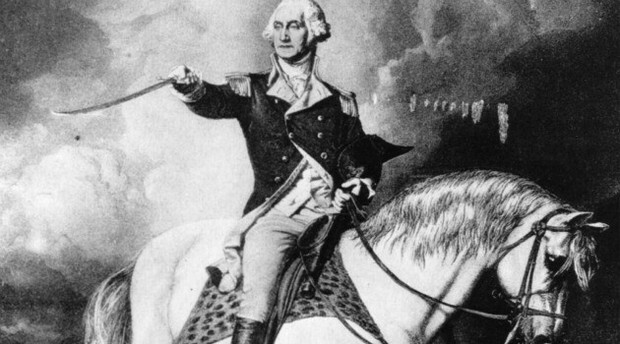 General George Washington considered his sword to be part of the uniform and many Washington paintings from the Revolutionary War era feature him holding an unsheathed sword. The Gatling gun saw only limited use in the Civil War, however, the conflict did test this weapon, perhaps the first successful true machine gun used in warfare. 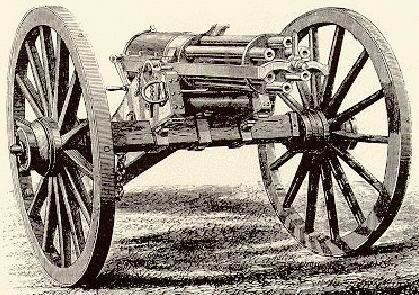 Invented by Dr. Richard Jordan Gatling, the Civil War model served as the precursor of more successful models. The civil war brought many advancements in gun technology, most notably the widespread use of rifled barrels.The Springfield rifle was one of the most popular rifles that utilized rifling of the barrel. Rifled barrels offered more accurate rifles which increased the leathality of firearms. 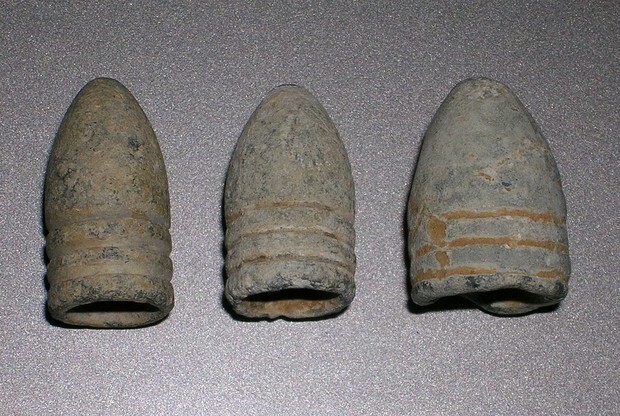 The Minié Ball was a type of bullet that was used throughout the Civil War. Designed to expand while traveling along the rifle barrel, it increased muzzle velocity as well as providing spin to the bullet, expanding its accuracy and range. This advance in weaponry, along with outdated military tactics devised in an era of older firearms, are often cited as a reason for the large numbers of casualties of the Civil War. Germany, as it did for other small arms, led the way in grenade development. 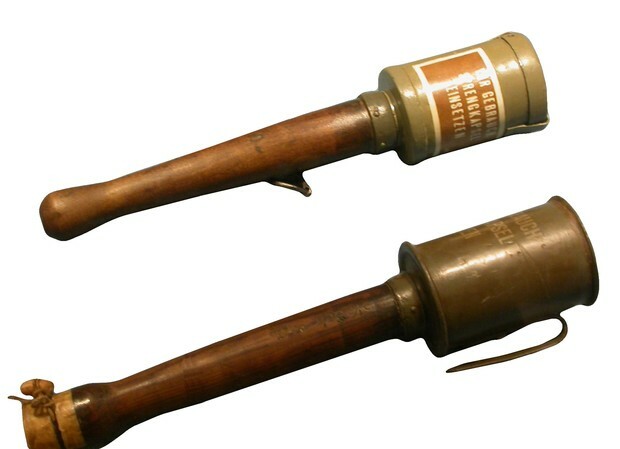 Early British models like the Mark I (a cylindrical device attached to a long stick) were awkward to use and prone to accidental detonation. These were superseded by the pineapple-shaped Mills bomb, with its safety pin and firing lever. Mills bombs were produced with four and seven second fuses. The grenade offered a way for infantry to blow stuff up without having to light a fuse. 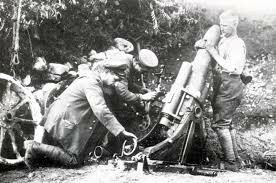 Mortars were especially important in WWI because of the ability to fire explosives a distance into enemy trenches.they could be fired from the safety of a trench, lobbing explosives into enemy trenches from on high. Flame-throwers, pioneered by the Germans but not widely used, were terrifying weapons. 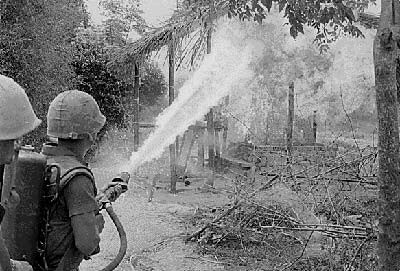 Usually wielded by an individual soldier sporting a backpack or tank, flame-throwers used pressurized gas to spurt burning oil or gasoline up to 40 meters. Their chief use was as a trench-clearing weapon: the burning fuel filled trenches, landing on both equipment and people and forcing them to withdraw. But the comparatively short range of flame-throwers required their carriers to be within close proximity of the enemy, where they were easy pickings for a competent rifleman. The Gustav Gun is the biggest gun ever created. It was used to break down walls and forts. It was basically just an overgrown cannon.